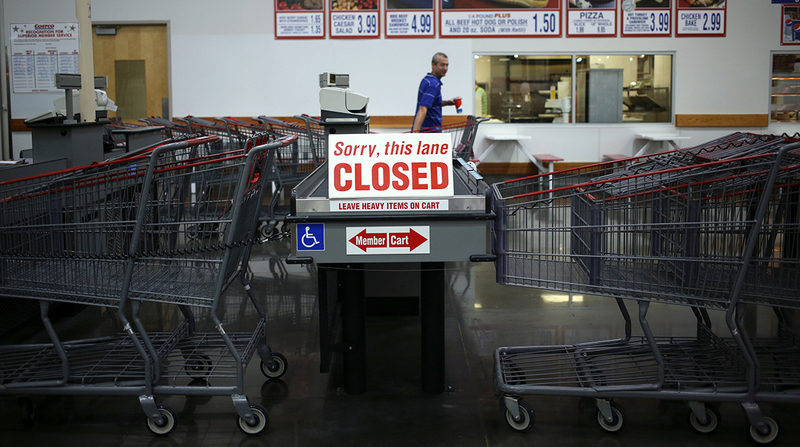 Retail sales unexpectedly dropped for a second month in June, signaling consumers are providing only modest support for the U.S. economy, Commerce Department data showed July 14. • Purchases dropped 0.2% (forecast was 0.1% gain) after falling 0.1% the prior month (previously reported as 0.3% drop). • Sales minus car dealers and gasoline stations fell 0.1% after no change a month earlier. • Retail control-group sales, which are used to calculate GDP and exclude the categories of food services, auto dealers, building materials outlets and gasoline stations, decreased 0.1% after no change. • Sales fell in six of 13 major retail categories in June. The figures suggest households remain cautious about spending and may provide less of a boost for the second-quarter economy after a weak start to the year. Receipts weakened at department stores, sporting goods outlets and restaurants. Sales within the so-called retail control group have weakened for three straight months, and the decline in June indicates a weak finish to the first half of the year. While the release accounts for only a small part of consumer purchases, household spending on services probably has kept up a moderate pace as steady job gains bolster Americans’ pocketbooks. Faster wage gains, still elusive in this expansion, would provide a further boost to consumption. The Commerce data don’t reflect changes in prices, and consumers enjoyed lower gasoline costs in June, which households may have opted to save rather than spend elsewhere. • Purchases at auto dealers rose 0.1%, a slowdown after a 0.9% May increase; industry data showed sales of cars and light trucks eased in June to a 16.4 million pace, the slowest in more than two years, from a 16.6 million rate a month earlier. • Sales at department stores dropped 0.7% after a 0.8% decline. • Purchases fell 0.6% at restaurants, 0.4% at food and beverage stores and 0.6% at sporting goods and hobby merchants.